Veils are easily the most iconic bridal accessory and have the power to change your whole wedding day look. Not to mention there are so many different types! The trick to choosing the right one is to match it to your wedding dress and personal fashion style. You want to find the veil that creates the most amount of impact without distracting from the overall look. 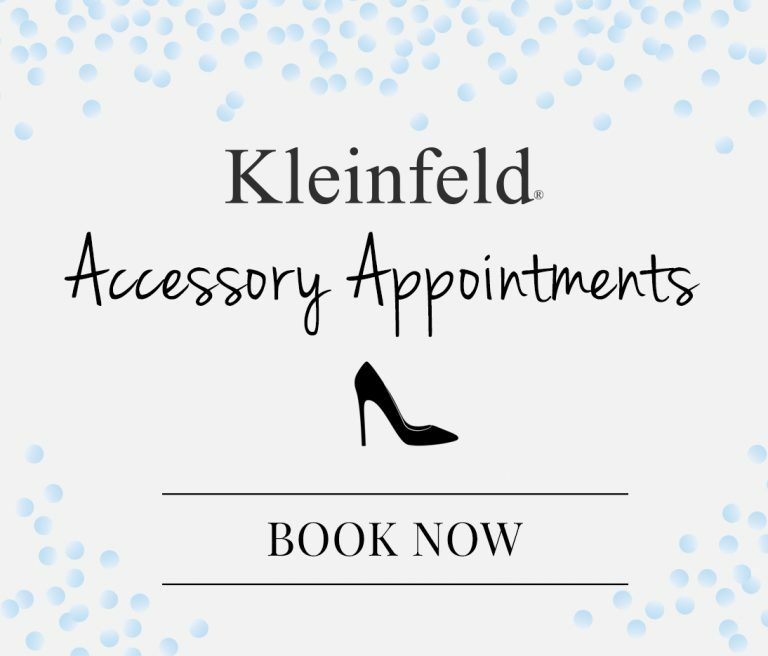 While wedding dress shopping, talk to your consultant about having your designer create a custom veil or explore various styles in the Kleinfeld Accessories Department. 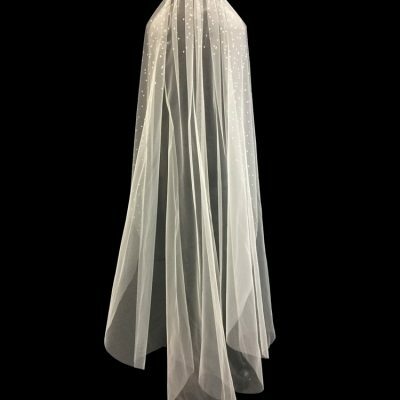 Check out our veil glossary below. Birdcage veils are short veils typically made of netting. They only cover a portion of a bride’s face and fall just above, or below, the chin. 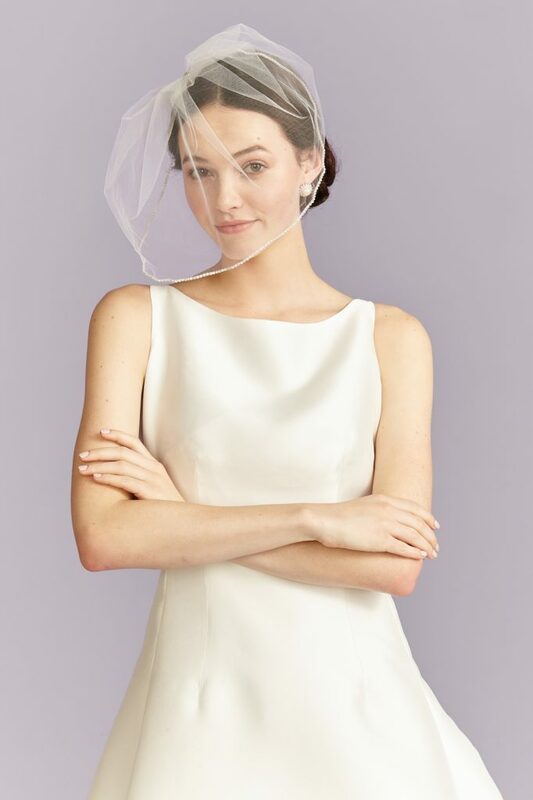 These types of veils add a vintage vibe and often lend a bit more personality. They pair especially well with short wedding dresses. Birdcage veils can be worn with most hairstyles, but be sure to think about how you will wear your hair in advance on wedding day. 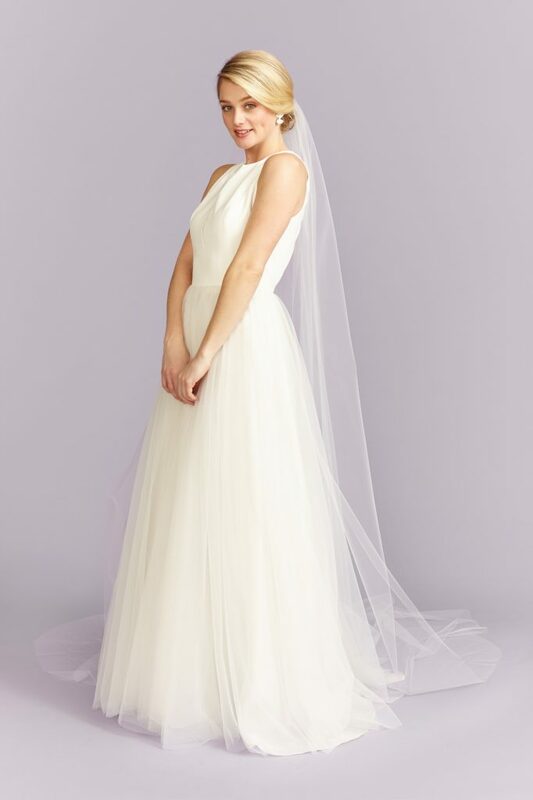 The blusher style veil has a unique historical significance: It’s said in ancient times that blushers were worn to protect the bride against evil and were also used to cover the bride’s face preventing the groom from seeing her before the wedding. Now, blushers are a symbol of purity and the act of lifting the blusher serves as a literal ‘unveiling’ of the bride. Whether it serves as tradition or just an accessory, the blusher is a elegant option for most all wedding dresses. 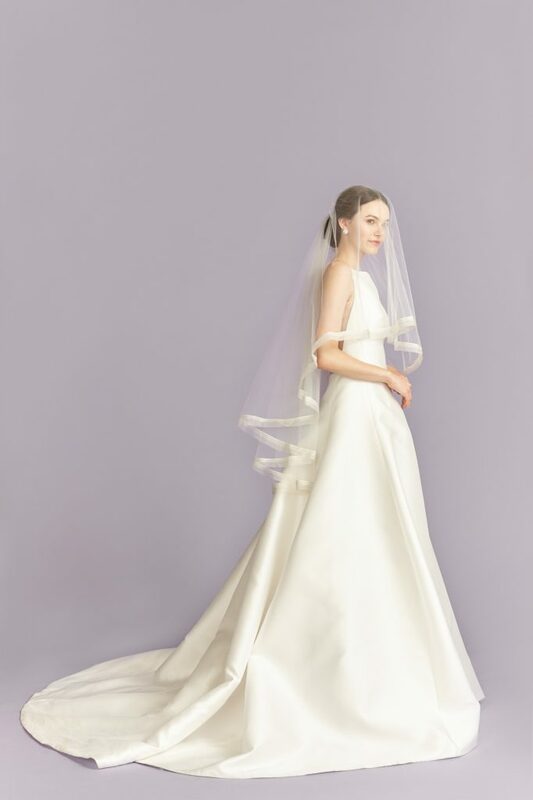 A two-tier veil consists of a fingertip or cathedral length veil coupled with a blusher. The blusher can be placed over the face for the ceremony and pulled back for the reception, creating that “two-tier” look. A fingertip veil falls at or right below the fingertips and can extend below the waistline. 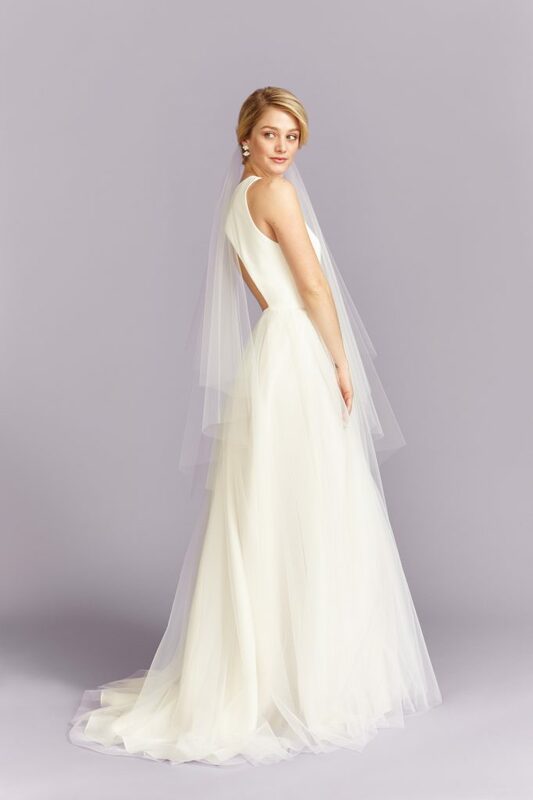 Similar to the elbow length or other short veil styles, it can add drama without the hassle of carrying it while walking. 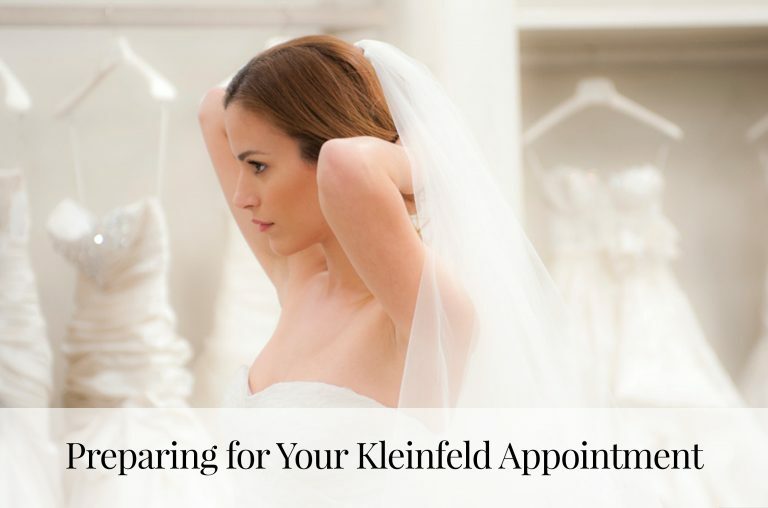 Remember to think of your jewelry and hair as well when choosing a veil. 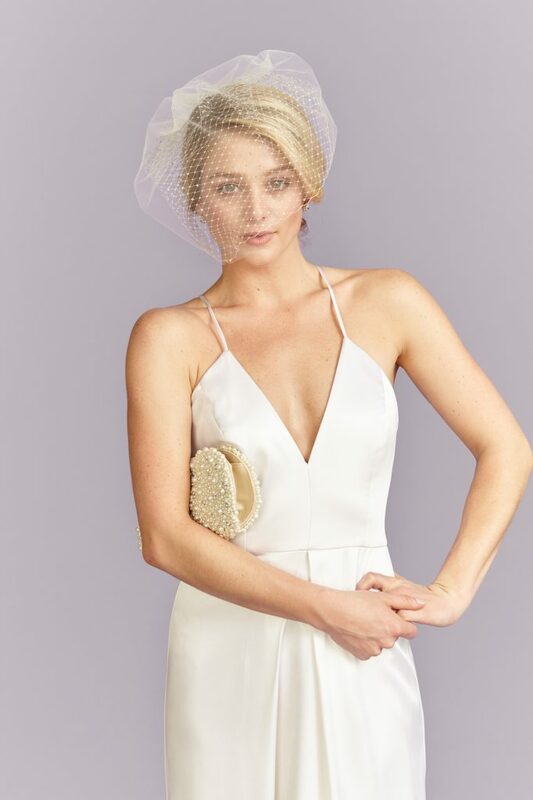 A fingertip veil sits well on a low bun with elegant earrings. Keep it sheer as not to cover up any gorgeous back detailing on the gown. Chapel veils fall right to the ground or a couple of inches beyond the wedding dress, barely sweeping the floor. Their delicate, drapng effect create a romantic feel. 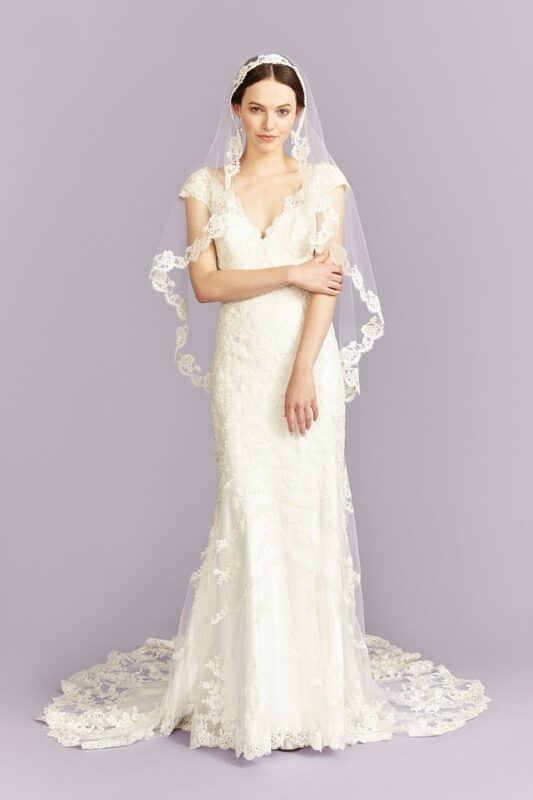 It’s important to match this veil style to your dress by keeping both simple or coordinating the same embellishments to your gown. 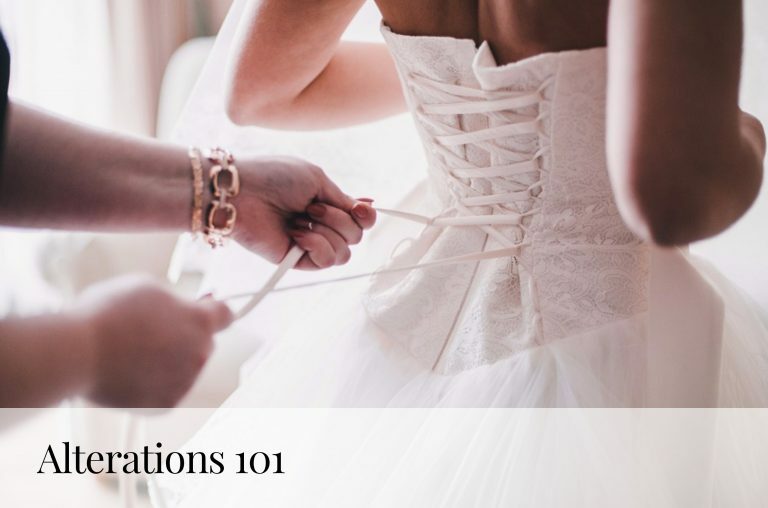 Placement of this veil is also very important—make sure you have an idea of where your hair will be set when choosing a chapel veil. 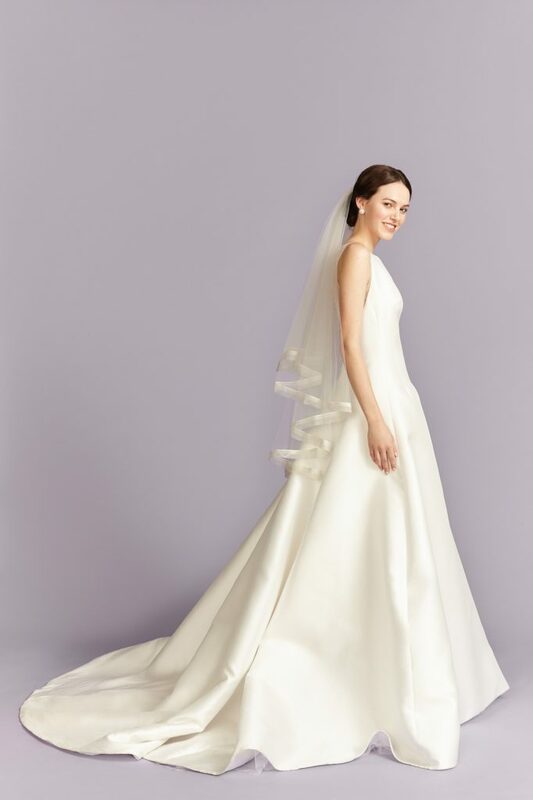 Similar to the long aisle of a cathedral church, a cathedral veil leaves a train trailing way beyond the length of the bridal dress. It is the longest of the veil styles. Looking for drama? A cathedral veil makes for stunning photos. The mantilla veil frames the face in lace and is typically worn two inches from the hairline at the top of the head. They come in a variety of widths and lengths and are definitely statement pieces creating a sensual yet sophisticated vibe. Remember to match the lace when choosing your veil —this is most easily done by purchasing together.